Three Nights • Three Venues! Watch the SongFest YouTube video playlist and check out some of the awesome musical acts we had lined up for 2019! Don't miss out on great music events all year long! 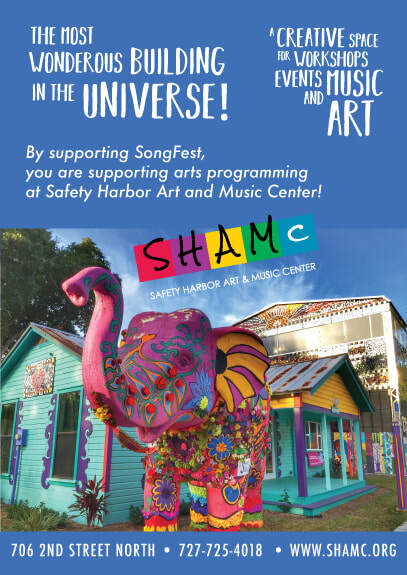 Visit Safety Harbor Art & Music Center for for more information and to sign up for for newsletters. 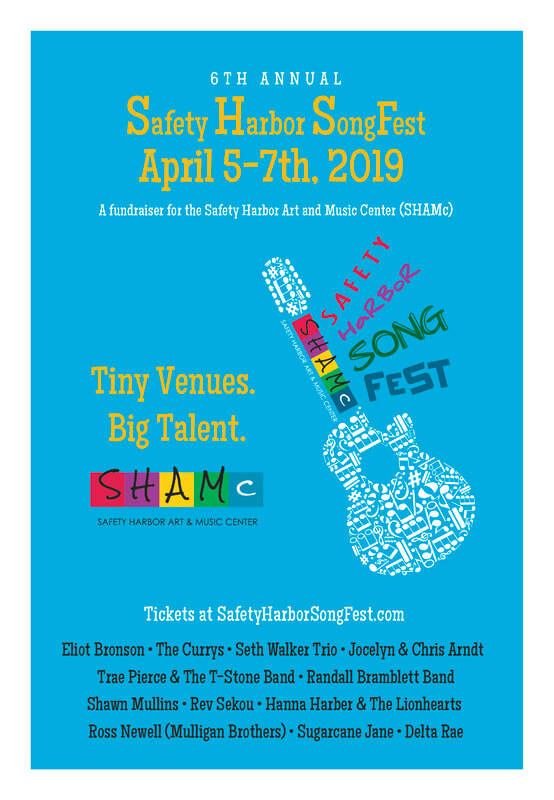 Safety Harbor SongFest is a fundraiser for the Safety Harbor Art & Music Center. Proceeds support year-round arts programming.